My work addresses the simultaneous presence of chaos and order in our ecosystem and human civilization. In their most opposing state both forces create specific phenomena, which are fundamental parts of historic events and myths. I intend to depict the trajectory of these forces and re-create sublime moments from literature, tales and imagination. Recently I started a series called `Odyssey´, where the physical application of oil paint fluctuates between representational realism and abstraction. Departure Diptych is part of this series. 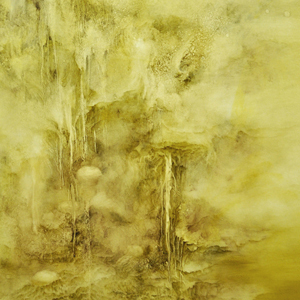 The medium of oil paint is pushed to its limit using both additive and subtractive techniques throughout the whole painting process, allowing a parallel organic world with new visions of historic events to emerge. The expansion of human civilization from rare residues to a growing colonization of nature begins to play an increasing role in my world building process.